The Milwaukee County Historical Society has four historic sites located throughout the County. These properties, along with the downtown Historical Center, are listed on the National Register of Historic Places. Each site has independent operating hours, as listed below. Group tours are available at each site and can be arranged by contacting Mary Jo Knapp or completing our tour form. More information can be found on the Trimborn Farm website. $5 per person (minimum of 10 guests). Under age six (6) free. Park grounds admission free. Guided building and/or grounds tours for groups – by appointment only. Please call at least 2 weeks in advance to schedule a tour. 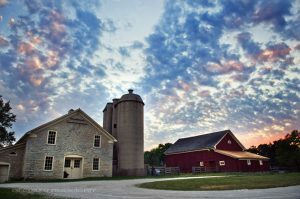 If you are looking for information on Photography or Renting Trimborn Farm, please contact Morgan O’Hara at morgan@milwaukeehistory.net. Most buildings on the Trimborn Farm tour are accessible to the physically challenged. Packed gravel drives and lawn may be difficult for those using wheelchairs or walkers. Two wheelchair accessible restrooms are available. Trimborn Farm is the only Milwaukee County Park with a historic theme. The multifaceted property is listed on the National Register of Historic Places and is also a State Historic Site and Milwaukee County Landmark. David Curtin, his wife Ellen, and infant son Jeremiah were among a group of Irish immigrants who settled in the old Town of Greenfield in the mid-1830s. 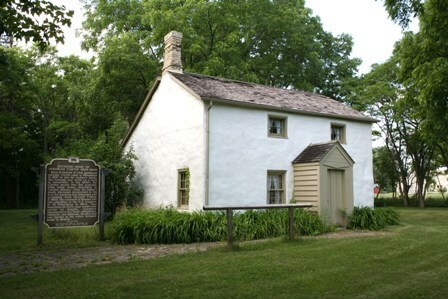 With help from a stone mason, David built the first stone house in the Old Town of Greenfield. It was sold to the Trimborn family in 1866 and remained occupied until the 1920s. The Milwaukee County Historical Society acquired the house in 1952 from the federal government, and it was selected as Milwaukee County’s Bicentennial Project in 1976. Funds raised by various community organizations helped restore the site in the late 1970s. It was officially dedicated on the 150th anniversary of Jeremiah’s birth, September 6, 1985. 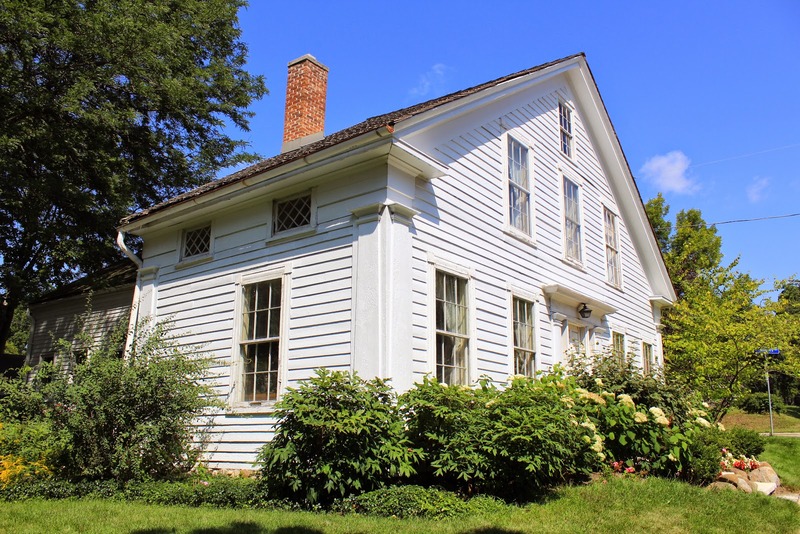 Started in 1844 by Oliver Damon and completed in 1847 by his son Lowell, the house is believed to be Wauwatosa’s oldest residence and stands as a classic example of a colonial home. It was given to the Milwaukee County Historical Society in 1941 by the sons of Alexander Rogers, a former owner. Since then it has operated as a museum. 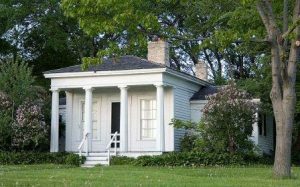 just north of Capitol Dr.
Sundays, 12 p.m. to 4 p.m.
Kilbourntown House, also known as the Benjamin Church House, was built in 1844 by Benjamin Church, a carpenter from New York. Church, his wife and six children lived in the house, which was originally located in the section of Milwaukee known as Kilbourntown. An excellent example of Greek Revival architecture, the house was saved from destruction in 1938 when it was moved to Estabrook Park and restored as a WPA project, The home contains an outstanding collection of mid-nineteenth century furniture and decorative arts. A kitchen herb garden neighbors the home. The house is maintained jointly by the Milwaukee County Historical Society, the Milwaukee County Parks, and the Colonial Dames. Kilbourntown House is listed on the National Register of Historic Places.